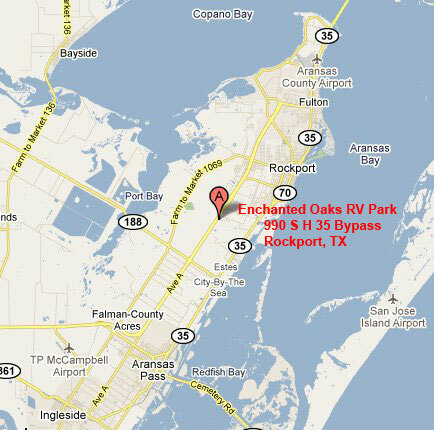 Enchanted Oaks RV Park is located on the Texas State Highway 35 Bypass in Rockport, Texas, just 20 minutes North of Corpus Christi. 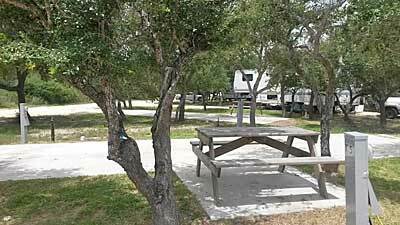 This 60-acre campground is adjacent to a Nature Preserve and includes a lovely walking trail for residents to enjoy. 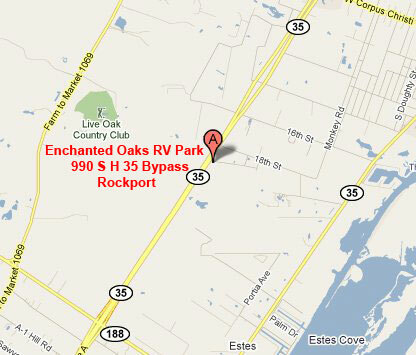 Indulge in the unique local shopping and dining experiences of Rockport's Heritage District. With the local boat launch only minutes away, you can enjoy some of Texas' most beautiful beaches, plenty of fishing in your own boat, or catch a ride with one of the Coastal Bend's fishing, bird watching, or dolphin excursions. We have 52 spacious sites. 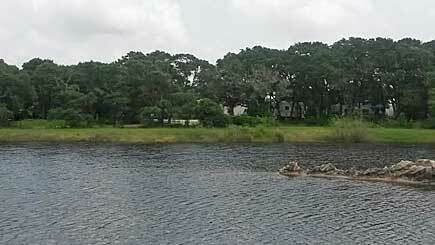 Each roomy space in this natural setting offers 30/50 amp service, WI-FI, water and septic hook-ups. All of our sites have 40-foot concrete pads. 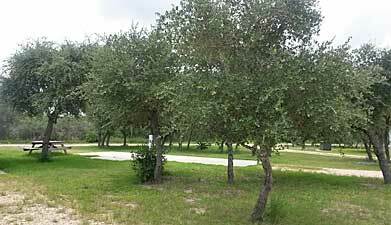 We have a Recreation Hall with Full Bathrooms and a Laundry Facility. 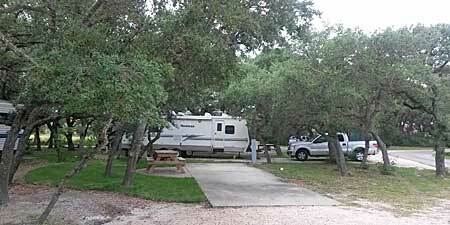 These rates are for one RV, one vehicle and two adults. Click Here for Directions from Your Place to Ours!